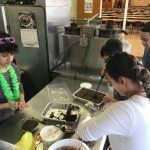 The ACS Food Club was at it again! 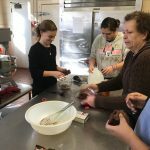 Yesterday the 8th graders, Mrs.Derevenska, and Mrs. Shumny listened attentively as Mrs. Pickering as she shared her infamous chocolate truffle recipe. The delicious dessert was …well… SIMPLY DELICIOUS! Each student was able to make their own family size portion of the dessert to take home. This club allows our 8th graders to learn a new skill and to appreciate the joy of cooking. Thank you Mrs. Pickering for the new recipe. Stay tuned for Sr. Yosaphata’s pierogy recipe! Happy Valentine’s Day from the third and fourth grade!